The Intel Celeron N4000 is a lower-end processor you can find in affordable laptop PCs. As a basic CPU, it has only two cores with a single computing thread per core. On the positive side, the Celeron N4000 has a decently high maximum clock speed of 2.6 GHz, an unusually large 4 MB cache for the budget processor category (as opposed to more common 1 MB or 2 MB), and a power-efficient design with a power consumption of 6 Watts. Furthermore, thanks to its good thermal characteristics the N4000 enables fully fan-less and totally quiet designs of notebooks with it. 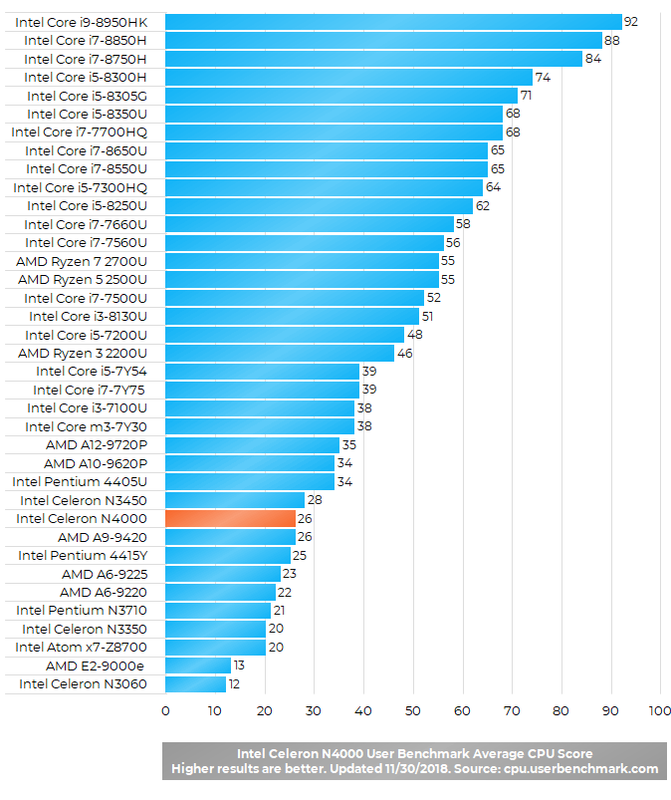 The Intel Celeron N4000 benchmark results indicate the chip is among slower notebook CPUs. Nevertheless, it is a decent solution for non-demanding day-to-day tasks. It’s suitable for light web browsing with a couple of browser tabs opened simultaneously, work in Microsoft Office programs, movie watching, or web conferencing. For heavier duties like video editing, notebooks with mid-range and high-end CPUs like the Intel Core i-series are recommended. But, these aren’t as cheap as the Celeron N4000-equipped laptops and they must use cooling fans. The Intel UHD 600 graphics which is embedded in the N4000 is a very basic graphics processor. So, laptops with the Celeron N4000 / UHD 600 can run only the most basic PC games. 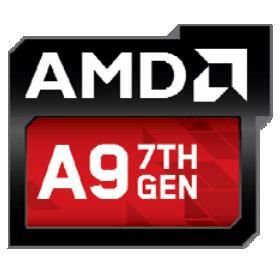 This processor can support few Microsoft Excel windows opened at the same time and plus few chrome tabs open? 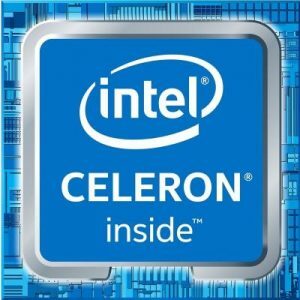 what is the generation of N4000 Celeron Intel ??? Hi, the N4000 was released in late 2017. What do you want to calculate? Regards. Perfect for a general use laptop & even a little more !